When Jesus spoke, he was imparting deep truths, which he himself, received through direct experience and genuine communion with the divine. We may refer to this state of consciousness by many names, such as Christ Consciousness, or God Realization, in which the oneness that exists among all revelations, regardless of name, sect, or geographical location, is perceived. Truth is Truth is Truth is Truth, no matter its name and irrespective of what costume or scripture we wrap it in. This means that The New Testament is no more Christian, than The Bhagavad Gita is Hindu. They are written records of enlightened revelations available to any seeker by any name for the purpose of upliftment. Through the technology of Yoga—a word meaning, Union with Divine—a seeker can expand his/her consciousness to the frequency of the divine. Or, said differently, he/she can unite his/her finite awareness with the infinite awareness, often called God. 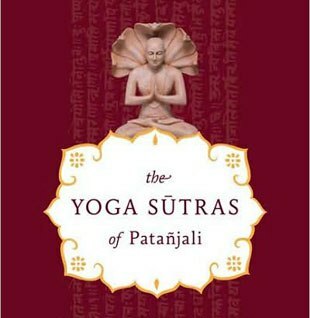 The technology of Yoga was first revealed in written form, in Patanjali’s Yoga Sutras, about 500 years before Jesus. In these sutras, it is said that through various daily disciplines, culminating with meditation, the omniscience of cosmic awareness may become known. These practices, known by sages and Yogis…and by Jesus himself, have been held in secrecy and passed down with discretion, from teacher to disciple, for millennia, long before they were ever written. Unfortunately, through the commercialization of mainstream Yoga, through its importation to the west, this technology, as well as the original intent of Yoga—has been lost in the morass of poses, products and popularity. Like the Yogis of old, who carefully guarded this technology of enlightenment, Jesus, too, selectively revealed the higher and more advanced teachings for those that were able to receive them, which is why he taught in parables. As is taught in all practices, the ultimate truths of heaven, that Jesus spoke of, can not be grasped by the senses, nor the rational mind, but can only be known through intuitive awareness. In other words, only through direct experience, can we ever really know the reality that lies behind the trappings of logic and beyond the illusions of the senses. An example of Jesus’ mastery over the materialistic laws of earthly life are seen in the act of resurrection, something that has been understood by accomplished yogis of India for thousands of years. These Yogis consider Jesus to be a realized yogi: one who knew and had mastered the spiritual science of life and death, God-communion and God-union.